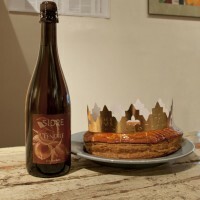 All across France in the month of January, bakeries offer the traditional Galette des Rois or Kings’ Cake – a layered, flaky, pastry with a sweet, almond-based filling that, in the north, is typically served with a delicious glass of cider from Normandy. 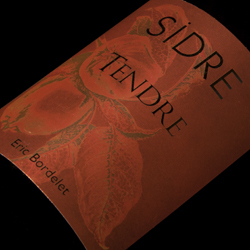 On Thursday, January 16, from 5:00 to 8:00, we’ll be doing just that – pouring Eric Bordelet’s bright, delicious Tendre apple cider and we’ll be sure to have a galette or two on hand as well. In the 1980s, Eric Bordelet was one of the most prominent figures in the Parisian wine scene, serving as Sommelier in L’Arpege, a Left Bank, three-star Michelin restaurant. By 1992 he had returned to his native Normandy and begun to craft ciders of more or less unequalled quality. The “Tendre” is, as the name implies, a soft, creamy apple cider made from the more than 30 different varieties of apple grown in Bordelet’s family-owned and naturally-farmed orchards.